Attorney Bryan L. LeClerc is a widely recognized lawyer in the fields of Municipal, Business & Commercial Law, Zoning & Land Use, Probate Law and Litigation. He is admitted to practice in Connecticut, New York, the U.S. District Court of Connecticut, the U.S. District Courts in the Southern and Eastern Districts of New York, and the U.S. Supreme Court. In addition to traditional court forums, Mr. LeClerc has represented clients before local land use boards and commissions, the Freedom of Information Commission, Probate Courts and the Workers’ Compensation Commission. 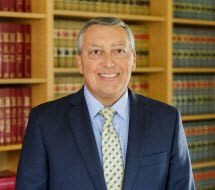 Bryan LeClerc has been named to the 2018 Connecticut and New England Super Lawyers lists for Personal Injury Law. Super Lawyers is an annual listing of lawyers who have attained a high degree of professional achievement and recognition by their peers.